Have you heard the one about the guy who walked into a bar and ordered a US$10,000 shot of whisky? A handout photo released by Waldhaus Hotel in St Moritz shows a bottle of whisky made in 1878 by the revered Scotch maker Macallan at the Swiss hotel's Devil's Place Whisky Bar. A young Chinese man paid that last week at a Swiss hotel for a glass of whisky made in 1878 by revered maker Macallan, according to the 20Minuten website. The report was confirmed by an employee at the luxury Waldhaus Hotel in St Moritz. The hotel’s Devil’s Place Whisky Bar has been honored for its 2,500-bottle collection, including by the Guinness Book of World Records. But proprietor Sandro Bernasconi told 20Minuten he never expected to open this particular treasure. After entering the bar with a group of people, the client expressed particular interest in the Macallans — the hotel has 47 options, ranging from 7 Swiss francs (US$7.22) to 10,000. “I told the customer that the most expensive Macallan was not for sale,” Bernasconi was quoted as saying by the website. The client persisted, so Bernasconi called his father, who had run the hotel for 20 years and never had a client order the 1878. The elder Bernasconi told his son to go for it, even if the customer was not going to pay in advance. “I was nervous,” Bernasconi was quoted as saying, explaining that he was concerned the ancient cork would disintegrate. But everything went down smoothly, including the whisky, Bernasconi said. Now that the bottle is open, the hotel hopes to sell the remainder and may consider dropping the price, 20Minuten said. Before it was uncorked, the bottle had been valued at 50,000 Swiss francs, a relatively modest price compared with recent records set at auction. The identity of the young — but presumably well heeled — connoisseur was not immediately available. 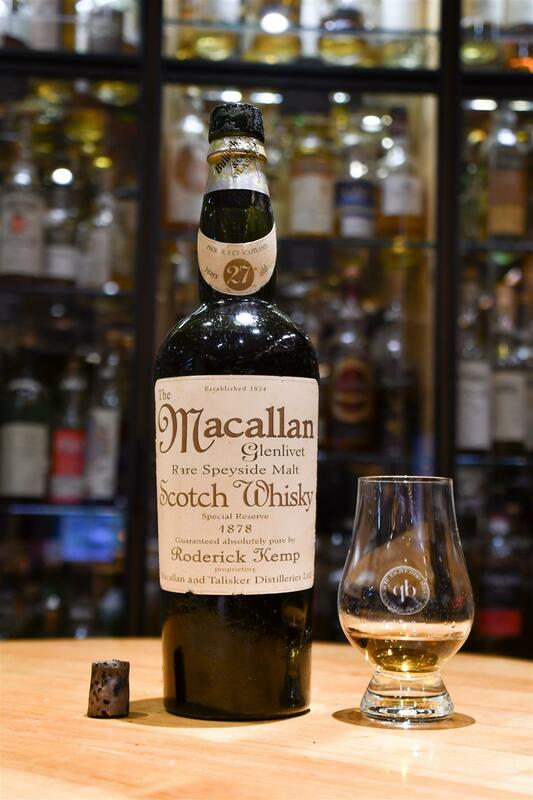 In 2014, a special collector’s blend of Macallan’s sold at auction in Hong Kong for nearly US$630,000.